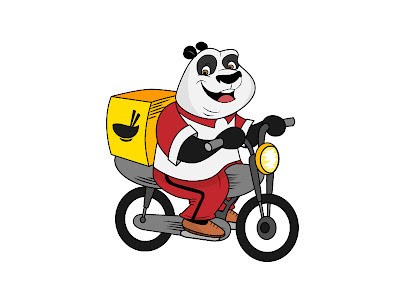 A new local venture, Foodpanda launches its online food delivery website on Monday, March 26, 2012. Striving to bring the best food delivery platform to Asia, foodpanda introduces a convenient food ordering service for their customers that provides a great variety of culinary choices online. “Our belief is that ordering food online should be hassle-free, fast and fun”, said Rico Wyder, one of foodpanda’s co-founders. Customers just needs enter their area, find their favorite restaurant that delivers to that area and with a few effortless clicks, foodpanda helps them to easily order food over the internet. Consumers spend a large portion of their time online and restaurant owners want to leverage on the increasing influence of social media and online platforms without spending a bomb. 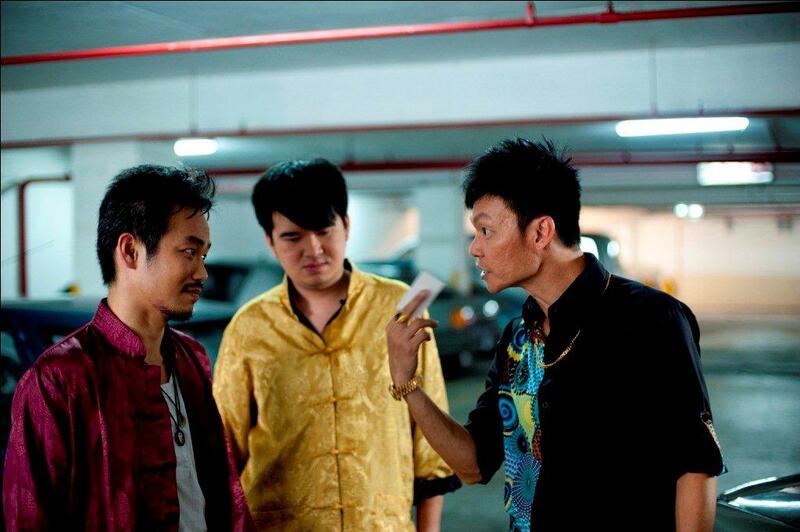 “We definitely expect an increase in customer numbers from the cooperation with foodpanda with such an easy to use website to order our food from”, said Franco Yong, restaurant owner of FattyCrabs. Yong believes the “online delivery service will be enthusiastically embraced” by their customers as their hectic lives can take the leisure out of dining at restaurant premises. Echoing similar sentiments is Fay d’Cruz Lippert, owner of Skippy’s Pizza. “Without a doubt, the exposure from foodpanda’s online ordering website will increase my business revenue and bring convenience to hungry customers looking to order food online” said d’Cruz Lippert. Following the sultry Motown sounds from songstress Atilia last month at 7atenine (SESSIONS with Heineken 7atenine Atilia), the third installment of SESSIONS with Heineken at 7atenine kicks it up a notch with Asian urban artiste Joe Flizzow. Performing with an 8 piece big band, this fusion of musical styles will surely have music lovers clamoring for more. Joe Flizzow & The Big Band raps it on Saturday, 7 April 2012 and will feature some new works as well as familiar tunes. “This is going to be one very interesting performance, we’ve never hosted a hip hop performance at 7atenine and as such we are thrilled to expand our repertoire to other genres of music. Joe is such a charismatic performer and he will draw you into his world with his powerful music and lyrics. I am personally looking forward to some major booty shaking” remarks owner Michele Kwok with a smile. Over the past 3 years, Joe Flizzow has been a busy man, writing and producing music under his own label and has also been traveling throughout the world working with prominent artists nternationally. He has even stepped into the world of television with being a judge on 2 renowned local reality shows. 2012 will be the most exciting year for Joe, he has an album in the works, appearances on three TV shows and a nationwide tour on the cards. SESSIONS with Heineken at 7atenine caters to lovers of live music where performances by guest artistes are billed as Unseen and Undone. Chic, hip and upbeat, SESSIONS is the perfect platform to showcase 7atenine’s international restaurant & supperclub positioning and the fact that music is an important component. 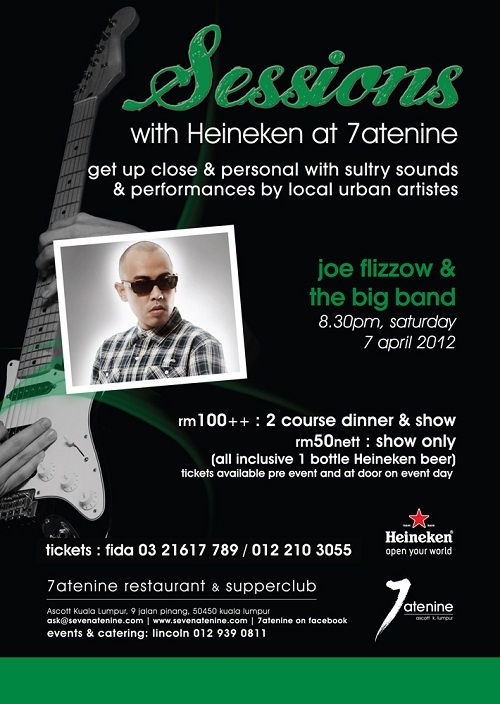 Joe Flizzow & The Big Band is at 8.30pm, Saturday 7 April 2012 and tickets are priced at RM100 for a 2 course dinner and show or RM50 for show only, both of which include a bottle of Heineken. 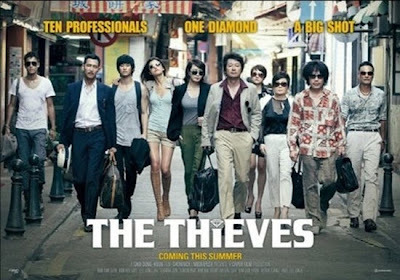 For SESSIONS tickets, call Fida at 03 21617 789 or 012 210 3055.